Retina Center of Texas now in Plano! The July 2015 board meeting of the Tarrant County Medical Society made special recognition of Drs. 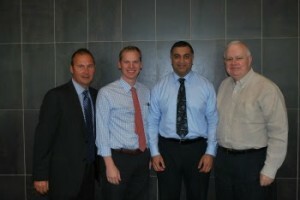 Qureshi and Warminski for their volunteerism in working with Project Access Tarrant County (PATC). Dr. Qureshi is among the initiatives most active members donating his services to the organization that organizes medical care for Tarrant County uninsured. “Working with PATC is a natural partnership,” says Dr. Qureshi, founder of RCT, “we have always cared for those in need, Project Access provides a better way for patients to find physicians who can treat them.” The recognition highlights RCT physicians dedication to the community they serve. © 2015. Retina Center of Texas. All rights reserved.